Come start a family tradition with us! 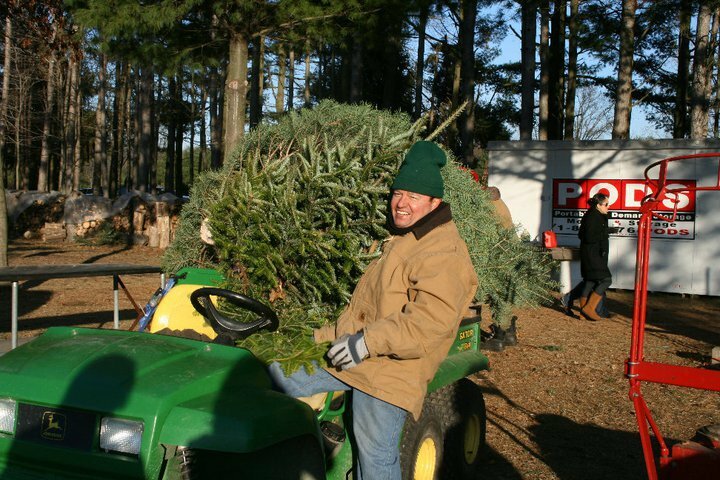 Once you select the perfect Christmas Tree we cut, shake, and load the tree onto your vehicle. 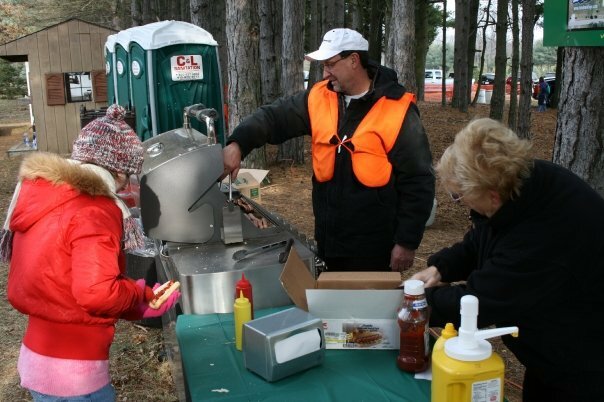 Enjoy a grilled hot dog, hot chocolate, and a wagon ride free of charge. For years we have been participating in several programs to help bring holiday cheer to our military families locally and throughout the world. 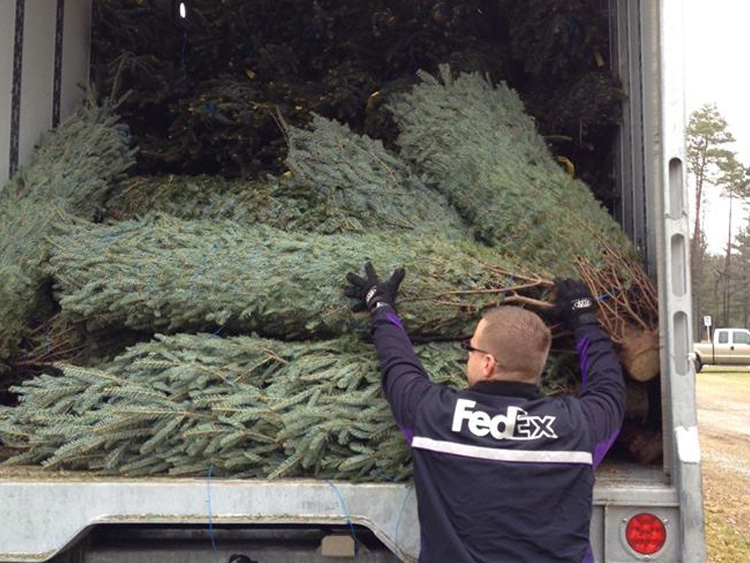 November 23rd – December 2nd we are participating in a joint program with the National Christmas Tree Association and FedEx. A minimum of 100 trees per year are donated through this program. There’s no season like the Christmas Season. And there’s no better family tradition than cutting your own Christmas tree! 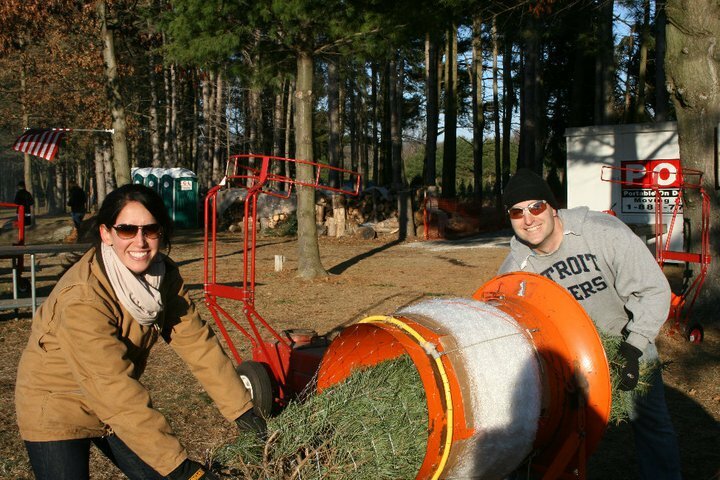 At the Whitehouse Christmas Tree Farm, we have thousands of beautiful trees. Bring your family and pick out your perfect tree for your holiday celebrations. We will cut, shake and load your tree for you. It’s a heart-warming experience you’ll want to enjoy year after year. Come to our farm in Whitehouse where we grow trees and you’ll grow memories. The Whitehouse Christmas Tree Farm will begin taking donations on Friday, November 23rd through Sunday, December 2nd for Trees for Troops. Our trees this year will be going to Fort Campbell, located on the Kentucky-Tennessee border. Fort Campbell is home to the 101st Airborne Division and 160th Special Operations Aviation Regiment. We would like to thank past and future contributors to the Trees for Troops Program. 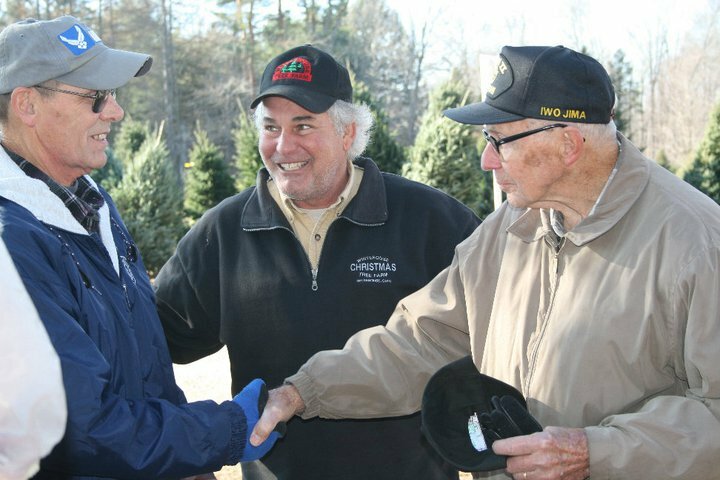 Since 2005, Trees for Troops has provided more than 208,720 Real Christmas Trees to military families. This includes, 17,720 trees delivered to 70 military bases during the 2017 Christmas season. Your contribution helps to make the holidays a little brighter for military families across the nation and around the world. Trees can be purchased at The Whitehouse Christmas Farm or by mailing a check to The Whitehouse Christmas Tree Farm at 11266 Obee Rd., Whitehouse, OH 43571. 50 - 7' Trees will be given to Vietnam Veterans. 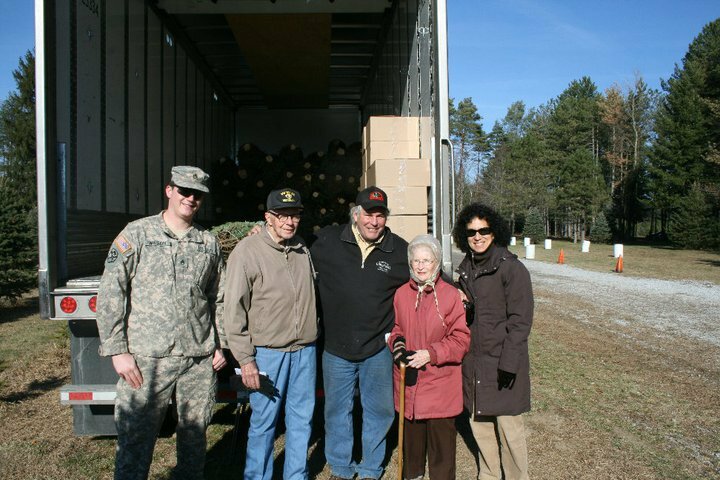 50 - 7' Trees will be given to families that currently have a soldier stationed overseas. 50 - 7' Trees will be given to families whose soldier has returned from overseas in 2018. We have allocated 150 trees for the Military and 25 trees for Police Officers and Firefighters so only the first 175 families to arrive will get a free tree. Hot chocolate, hotdogs and wagon rides are available for FREE on weekends with the purchase of a tree. The Whitehouse Christmas Tree Farm is located across the street from The Butterfly House. Directly across from The Butterfly House at 11500 Obee Road, Whitehouse, Ohio. According to the National Fire Protection Association (NFPA), approximately one tenth of one percent (0.12%) of residential fires involve a Christmas Tree — both real and artificial. Overloaded electric outlets and faulty wires are the most common causes of holiday fires in residences – these types of fires can be just as dangerous with an artificial tree. The National Fire Protection Association tracks fires and their causes. According to their data, of all residential fires, Christmas Trees, both Real and fake, are ignited in less than 1/10 of one percent (0.1%) of all the home fires. Keep that in mind if you see a sensational blazing tree on the “Action News”. These trees are often doused in a flammable liquid or cut many months prior to harvest time. Trees that are kept fresh during the holiday season using the NCTA care tips are extremely difficult to ignite. North-American Real Christmas Trees are grown in all 50 states and Canada. Most artificial trees are manufactured in China, Taiwan, or Hong Kong. Real trees are a renewable, recyclable resource. Artificial trees contain non-biodegradable plastics and possible metal toxins such as lead, cadmium, and organo-tins. Consumers can locate the nearest recycling program by logging onto www.realchristmastrees.org or calling 1-800-CLEANUP. For every Real Christmas tree harvested, 2 to 3 seedlings are planted in its place the following Spring. In the Spring of 2001, over 73 million Real Christmas trees seedlings were planted. There are about 1 million acres in production for growing Christmas Trees. Each acre provides the daily oxygen requirements of 18 people. There are about 15,000 Christmas Tree growers in North America, and over 100,000 people employed full or part-time in the industry. The top Christmas tree producing states are Oregon, North Carolina, Pennsylvania, Michigan, Washington and Wisconsin. The top selling Christmas Trees are: Balsam fir, Douglas-fir, Fraser Fir, Noble Fir, Scotch Pine, Virginia Pine, and White Pine. Over 35 million American families will celebrate this holiday season with a Real Christmas Tree. This is a long-standing tradition with many families, but where does this tradition come from and how did it start? Trees of all kinds have long been used as a symbol of life. To many ancient cultures, evergreens came to symbolize immortality, because they did not “die” when winter came as did many other trees and plants. To celebrate this triumph of life over death, people brought the evergreens into their homes. Early decorations consisted mostly of food items such as cookies, candy and fruit. Later, Trees were decorated with other items such as ribbon, shapes cut out of tin, small books and lace. The first recorded use of lit candles to decorate a Tree dates back to the 18th century. By the 1700′s, the tradition of the decorated Christmas Tree was firmly entrenched in Europe. The tradition was brought to the United States by German settlers and by Hessian mercenaries paid to fight in the Revolutionary War. In 1804 U.S. soldiers stationed at Fort Dearborn (now Chicago) hauled Trees from surrounding woods to their barracks at Christmas. The popularity of the Christmas Tree then proliferated. Franklin Pierce, our 14th President, brought the Christmas Tree tradition to the White House. In 1923, President Calvin Coolidge started the National Christmas Tree Lighting Ceremony now held every year on the White House lawn. Since 1966, members of the National Christmas Tree Association have presented a beautiful, fresh Real Christmas Tree to the President and first family. This Tree is displayed each year in the Blue Room of the White House.